Are Vaporizers the Safest Way to Smoke Marijuana? People smoke marijuana in a lot of different ways: joints, pipes, bongs, and blunts. But if you want to smoke weed in a "harm-reduced" way, your best choice may be a vaporizer. A vaporizer or "vape" is an electric device that uses heat to vaporize weed, tobacco, herbal smoke, or liquid, which is then inhaled in aerosolized form. This aerosol is packed with the active ingredients THC and cannabinoids. If you've ever seen an electronic cigarette or e-cigarette, then you've seen vaporizer technology at work. Vaporizers can get expensive and typically range in price from one hundred to several hundred dollars. Little research has been done on the health risks associated with either marijuana or vaporizer use. Nevertheless, the research that has been done on the subject suggests that using a vaporizer may be easier on your lungs than other methods of smoking marijuana. In one study, where marijuana smokers were recruited via the Internet and asked a short list of questions, researchers found that those participants who used vaporizers reported less cough, phlegm, and chest tightness. Of note, decreased self-reported pulmonary symptoms and vaporizer use are merely associated measures; no causality can be inferred from these results. In other words, we don't know for sure whether vaporizers definitely lead to less cough, phlegm, and chest tightness. All we know is that people reported these symptoms less frequently when using a vaporizer (i.e., vaping). Nevertheless, some experts hypothesize that the reason why vaporizers may result in decreased lung irritation is because the vapor contains THC and cannabinoids—and no other "junk" (products of combustion). One risk that's hard to pin on marijuana use is lung cancer. In a 2015 article titled "Cannabis smoking and lung cancer risk: Pooled analysis in the International Lung Cancer Consortium," researchers pooled data from six case-control trials done in the United States, United Kingdom, Canada, and New Zealand. The researchers controlled for sociodemographic factors, smoking status, and pack-years, and found no increase in lung cancer frequency among habitual or long-term marijuana users as compared to the risk for lung cancer in people who don't use marijuana. Another study, though, examined nearly 50,000 Swedish men and found that after adjusting for cigarette use, participants who smoked marijuana were twice as likely to develop lung cancer. Whatever risk of lung cancer that smoking marijuana poses, however, is likely much less than cigarettes. Once again, please keep in mind that despite a dearth of evidence that suggests people who smoke vaporizers report less cough, wheezing, shortness of breath, mucus production, and so forth, current research is by no means conclusive and rife with confounding factors. 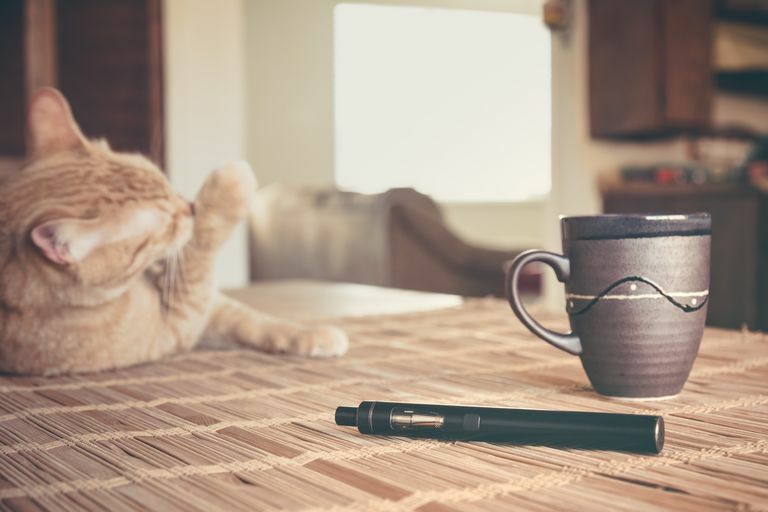 For instance, it's unclear whether people who choose to use vaporizers are more health-conscious and athletic, and thus would report fewer associated symptoms despite their choice of smoking instrument. Furthermore, (subconscious) cognitive dissonance may play a role in perception. In other words, people may report fewer lung problems because they use vaporizers for perceived safety. Are Vaporizers the Healthiest Option? Although it makes sense that marijuana vaporizers are cleaner and healthier than other routes of administration, more research needs to be done before we can truly suss out this hypothesis. In particular, we would need results from a long-term study that examined people who smoked marijuana in vaporizers as compared with those who didn't. Just because smoking marijuana with a vaporizer may reduce pulmonary symptoms, however, doesn't mean that doing so is free of adverse effects. For example, between 9 percent and 12 percent of marijuana users are dependent on the drug. Moreover, marijuana use has been linked to impaired driving and structural brain changes in adolescents. On a final note, should the use of inhaled medical marijuana ever become an institutional practice in the United States, it probably only makes sense that vaporizers would be used. First, vaporizers can be dosed and administered in a more standardized way. Second, no hospital would like people to smoke joints or pipes in the hallway or outside the hospital. Callaghan RC et al. Marijuana Use and Risk of Lung Cancer: a 40-year Cohort Study. Cancer Causes & Control. 2013. Earleywine M and Smucker S. Decreased Respiratory Symptoms in Cannabis Users who Vaporize. Harm Reduction Journal. 2007. Malouff JM et al. Experiences of Marijuana-Vaporizer Users. Substance Abuse. 2013. Mitchell IV. Vaporizer Legalization. Canadian Medical Association Journal. 2014. Zhang LR. Cannabis Smoking and Lung Cancer Risk: Pooled Analysis in the International Lung Cancer Consortium. International Journal of Cancer. 2015. https://doi.org/10.1002/ijc.29036.